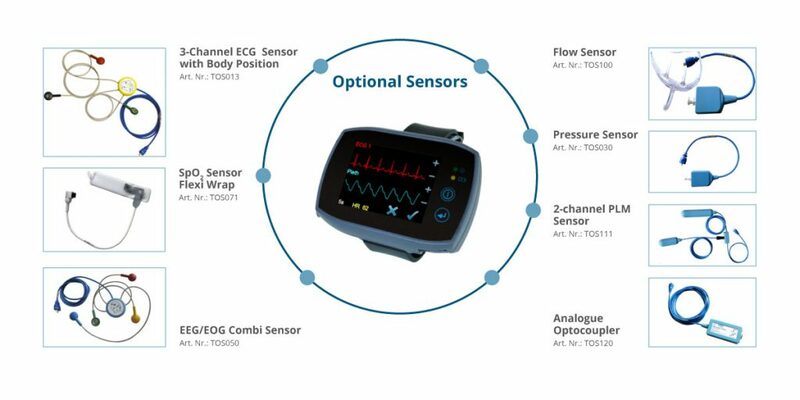 All of the optional sensors you can attach to the SOMNOtouch NIBP - opening up a huge new range off diagnostic possibilities. How the SOMNOtouch NIBP may be applied onto a patient. The SOMNOtouch NIBP is often worn on the wrist. The docking station which not only charges the device but also allows the data to be transferred to a PC. ABPM starts with the somnoTOUCH™ NIBP. 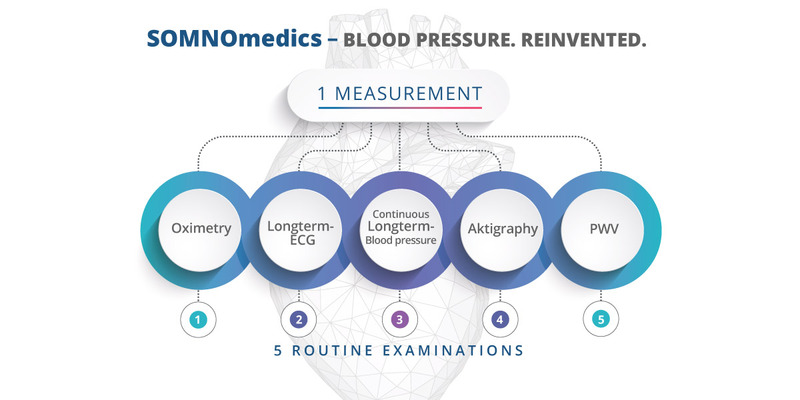 The SOMNOtouch™ NIBP represents the latest generation of ambulatory blood pressure recording at CARDIOdiagnostics a division of SOMNOmedics. 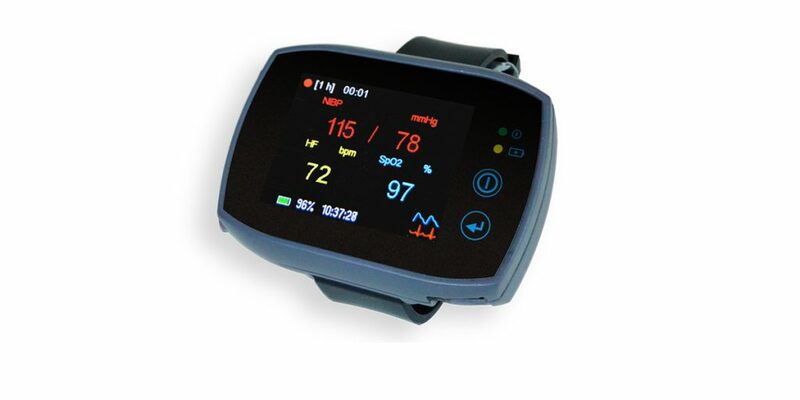 It measures blood pressure continuously, beat-to-beat, based on the pulse transit time (PTT). The PTT is the time required for the pulse wave to propagate along the vessel wall between two defined points. In the case of the SOMNOtouch NIBP – From the left ventricle of the heart (defined by the ´R´peak of the ECG) – to the finger tip (detected by the plethysmograph). The course of nocturnal blood pressure has a high diagnostic value. Continuous Measurement: Covers all maxima and minima in blood pressure history and shows all information about blood pressure during sleep. 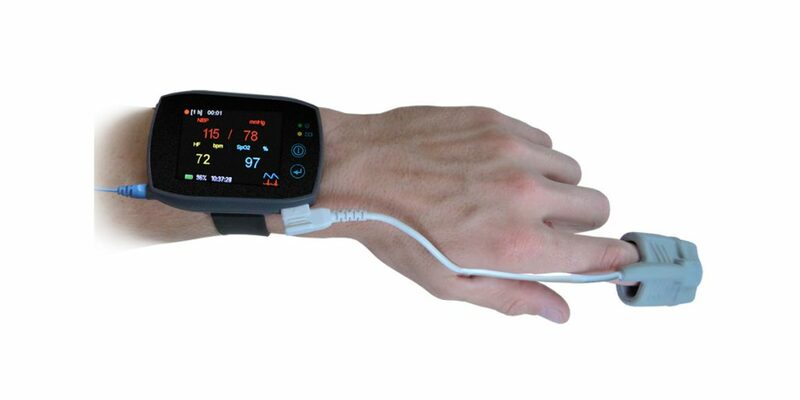 This allows more accurate findings about nocturnal blood pressure behavior and to determine dipping / non-dipping safely. Safe Diagnosis: Continuous recording of blood pressure without measurement errors caused by inflation of the cuff. The patient is not disturbed by inflating the cuff (arousal reaction). Thus, there is no falsification of the measured values. 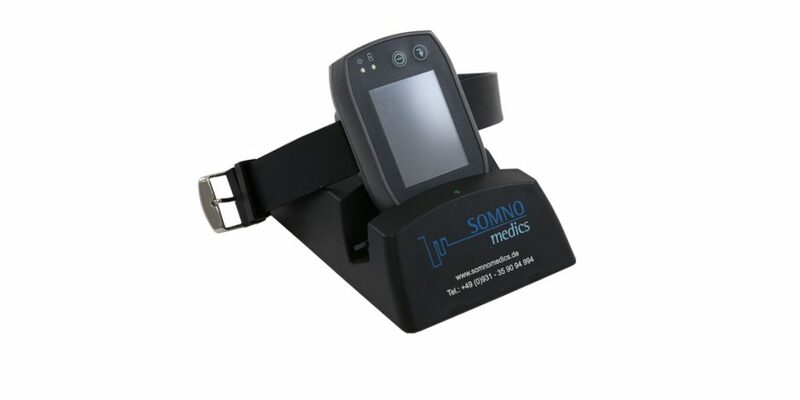 Thanks to the measurement without a cuff, which patients often find very unpleasant when inflating, the SOMNOtouch™ NIBP offers maximum comfort for the patients. NBPF (Nocturnal Blood Pressure Fluctuations) after sleep disturbances (e.g. 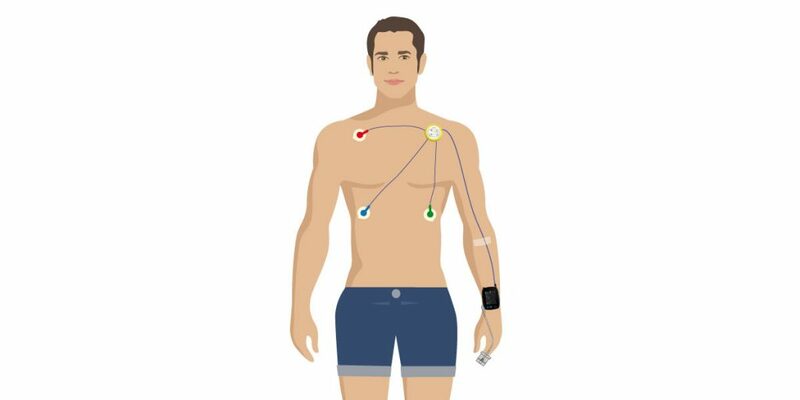 apnea, periodic leg movements) can be detected by the beat-to-beat blood pressure recording. These allow direct conclusions to the cardiovascular risk for the patient. The hydrostatic effect during body position changes is minimized. Due to the parallel recording, the measurement results can be correlated directly with each other, which allows a deeper insight into the nocturnal blood pressure behaviour. The following reports are offered as standard. 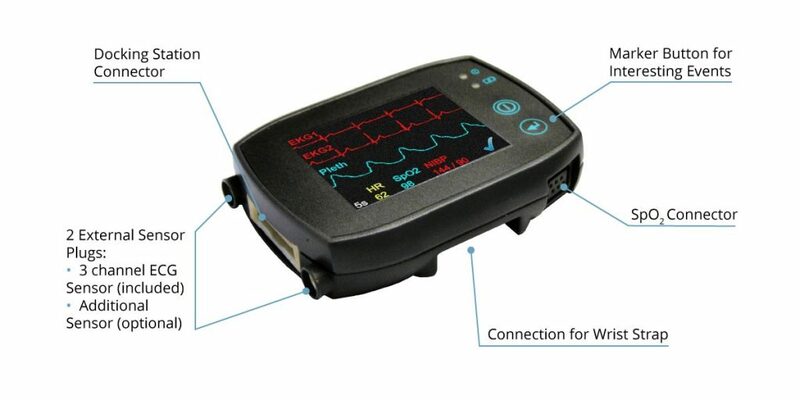 ECG Holter analysis: analysis of arrhythmias and ST-distance measurement. 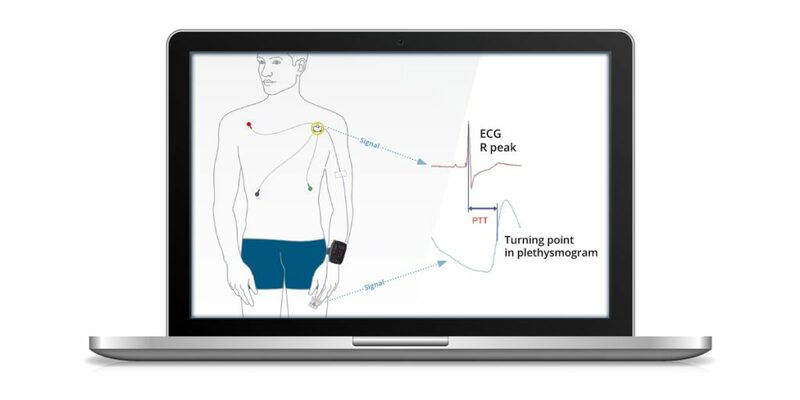 These sensors allow a correlation of blood pressure values with other diagnostic parameters (e.g. desaturations (respiratory analysis) or PLMs). 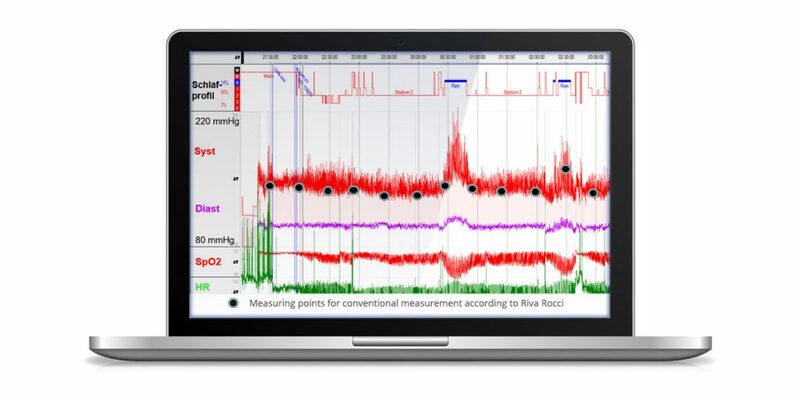 Imagine the insight into a patients health where you can see a Continuous, reaction-less beat-to-beat data set. Click below to see a sample customisable report from the analysis software.